Over the past 20-plus years, CIMBA Italy has grown from its primary mission to help business professors gain international experience into a robust program focused on introducing undergraduate, MBA, and executive students to a global experience steeped in leadership and personal development. This transformation has changed CIMBA into a global business education leader. Creative Mellen (with brand strategy expertise from Meld) led a rebranding effort to communicate this new transformation. CIMBA Italy is leading the way in global business education through study abroad, MBA, and executive programs. For their logo, we wanted to communicate the strength of tradition with a contemporary twist. 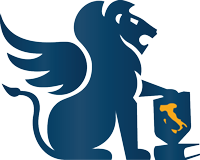 We modified the historic Asolo, Italy, lion statue, where CIMBA was first founded, to have a prominent, upright stance, illustrating a positive, sophisticated identity. The addition of the location name identifies the school as a global, modern educator. We incorporated fundamental elements for both internal and external audiences in the website redesign. 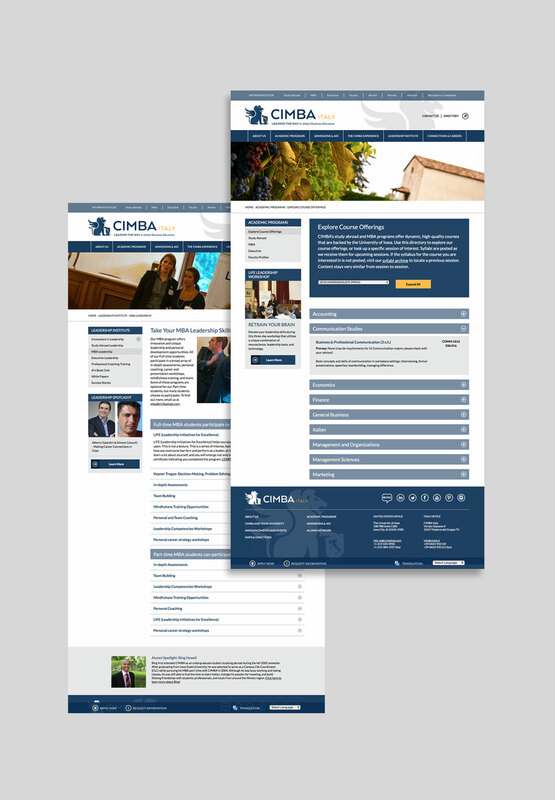 In addition to providing information on CIMBA, key architecture components included allowing visitors to explore programs, leadership opportunities, travel needs, and apply—all online. Since each audience has a unique program track, a program look-up tool was created. Other distinctive items developed included animated icons, student/faculty and alumni spotlights, Leadership Institute section, and a section that highlights the CIMBA experience.